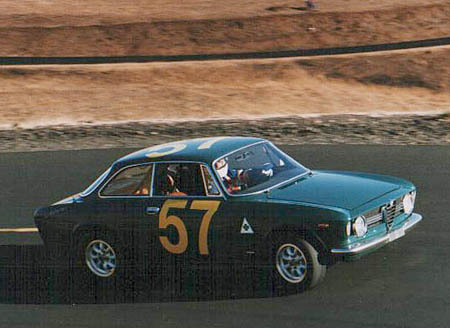 "Red Rider" is a local favorite among Alfisti of the Northwest. She spent 3 years in Wes' shop transforming into a vintage race car. Stephen Habener and Wes poured their hearts -- and some $$ -- into the challenge and the result was a car that consistently finishes in the top 3 of her races, with many firsts. A beautiful shot of Red Rider's intake system. Notice the flexible fuel lines delivering fuel from the HP Race SPICA pump. 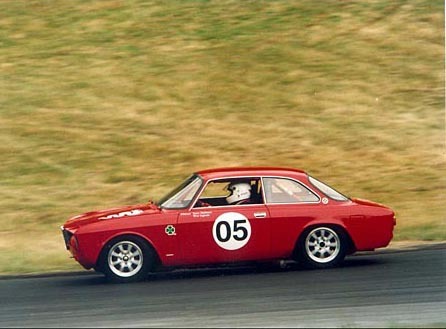 Steve Schaeffer's '67 GTV "Turner" taking on the Maryhill Loops Road Hillclimb in Oct. 1999. 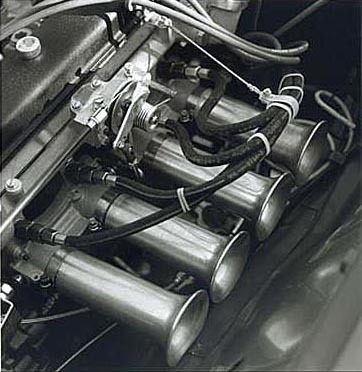 We built the Weber-fed 1600 engine and transformed the car into a Steetable vintage race car. A Dynograph helped Steve keep track of fuel mixture. Just a shot of our past. 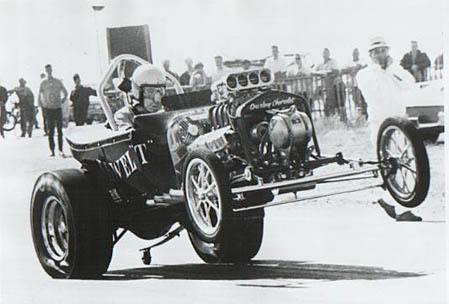 This is the Joe Davis/Wes Ingram "Jewel T" doing its thing on a California dragstrip sometime in 1967. We were among the first to supercharge the then-new Big Block Chevrolet. We won the 1967 NHRA Super Eliminator World Championship with the Jewel-T.